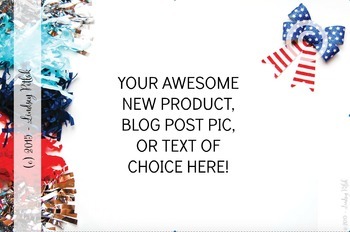 Thank you for your Marketing Maven purchase! 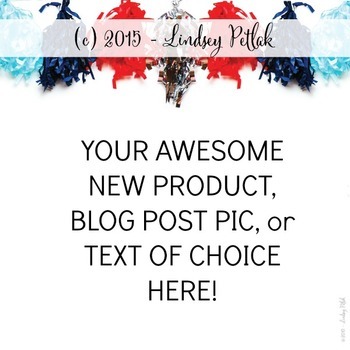 My goal is to make your blog post, product mock-ups, TPT promotion, & social media marketing as simple as possible. These designs are created to easily be opened/placed into your creative platform of choice (Word, Powerpoint, Photoshop, Illustrator). 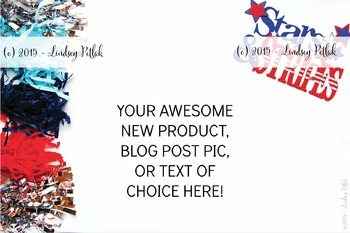 Use these photographed images to add text & photos of your own products or blog post topics. Stop spending TONS of time creating your own badges, buttons, blog post graphics, & product covers. You may use the image as many times as you need to. You receive commercial and personal use rights when you purchase an image and may use the image an unlimited number of times online or in print, but may not transfer or sell them in their current or altered format in any form to any third party. Lindsey Petlak retains the original copyright. Copyright watermark may NOT be removed with any use. 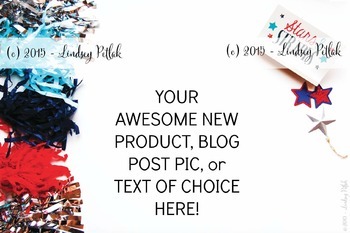 When used on products, Lindsey Petlak must be credited and linked back to the specifically purchased product in my Teachers Pay Teachers store. When used for social media purposes (Facebook, Instagram, etc. ), please tag @lindseypetlak. Add your favorite fonts & images to the original photographs, but be sure to credit creators of both. Thank you!